I hope you are having a nice summer. We are enjoying the warn summer weather here in southern California. I am keeping busy and to answer the question I keep getting asked, yes I am working on a new BOM quilt. I have posted a few photos on my Facebook and some from the retreat in Texas where I taught the center block from "Octopuses Garden Quilt". It's going to be a fun quilt. I hoping to have it published later this year. 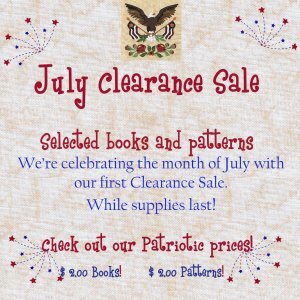 Our first Summer Clearance Sale will July 31, 2016 you still have time to get some great pattern before the sale ends. Have a wonderful Summer and keep stitching. The Kona wall-hanging was designed for a workshop I taught in Kona Hawaii. Traveling to the Hawaiian island has always been fun and brings back childhood memories of the years we live on Oahu. I have always love the Hawaiian quilts and they inspired me to design this unique border. The border is made in 2 sections and then repeated around the quilt. This downloadable PDF pattern contains full size drawings formatted to fit standard 8 1/2” x 11” paper for easy printing, Each page is laid out with registration lines to help you align the multiple sheet. I use Roxanne’s Glue Baste to glue my pages together to form the full size layout pattern. Also included in the pattern are the separated mirror images applique shapes the you can print directly on freezer paper for hand applique or on fusible web for machine applique. I have always love the Hawaiian quilts and they inspired me to design this unique border which I used in the Kona Wreath wall-hanging. I love this border and knew it need to be in a bed size quilt. 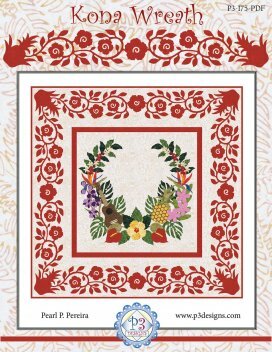 This border is made in 2 long section and with corner pineapples and center hibiscus as separate units repeated around the quilt. 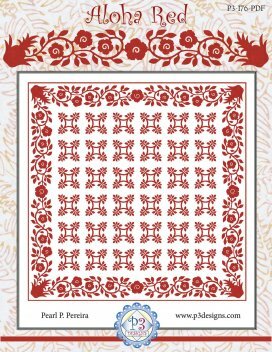 This 19 page downloadable PDF pattern contains full size drawings formatted to fit standard 8 1/2” x 11” paper for easy printing, Border drawing is laid out with registration lines to help you align the multiple sheet to make your full size template. I use Roxanne’s Glue Baste to glue my pages together to form the full size layout pattern. 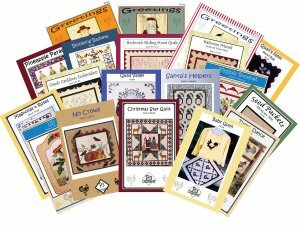 The applique template pages are mirror images and you can print directly on freezer paper for hand applique or on fusible web for machine applique. 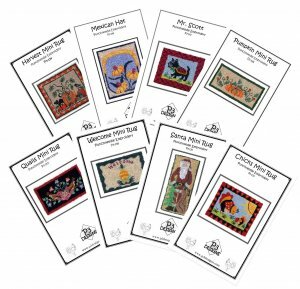 It's the perfect time to collect some of those Booklets you have been looking at. 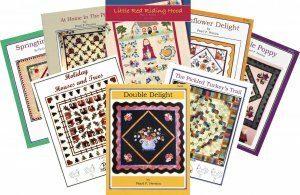 It's the perfect time to collect some of those patterns you have been looking at.